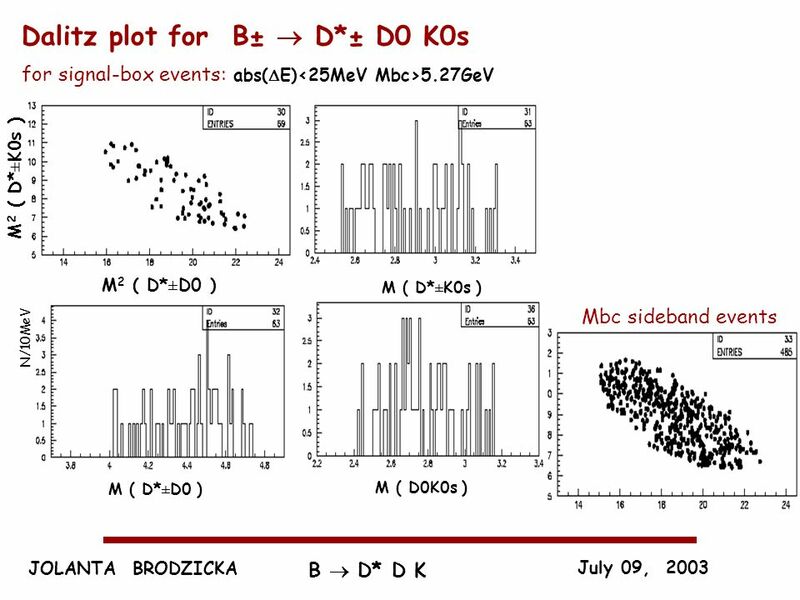 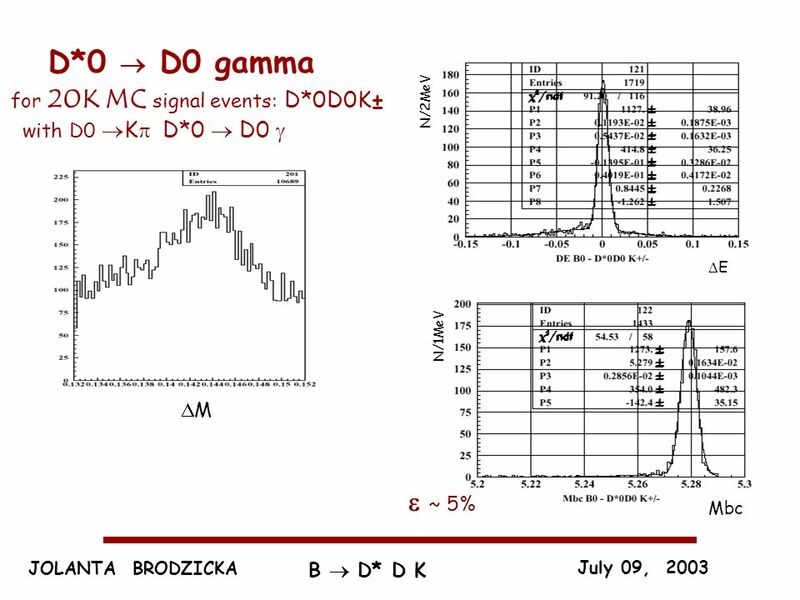 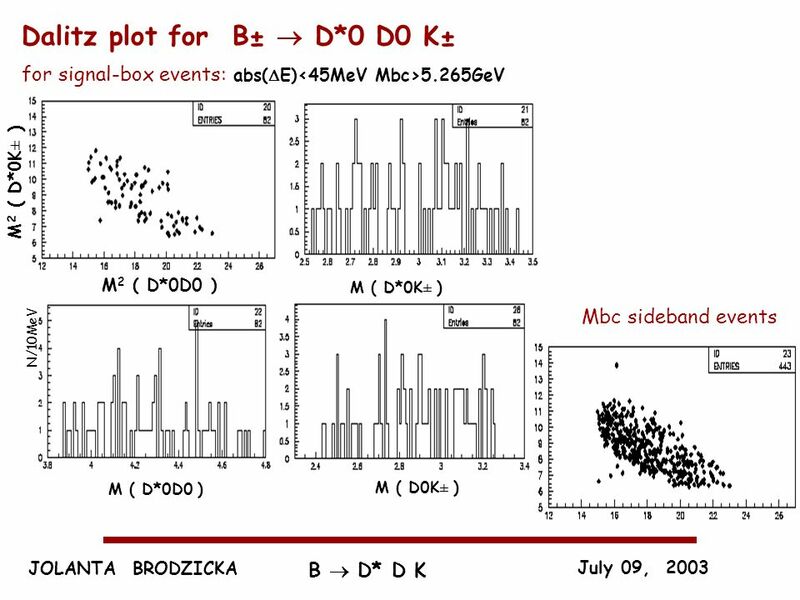 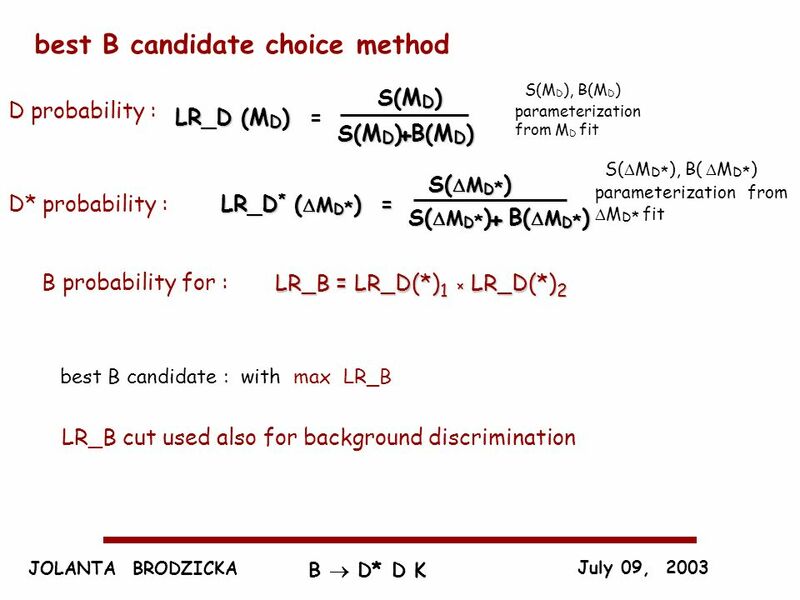 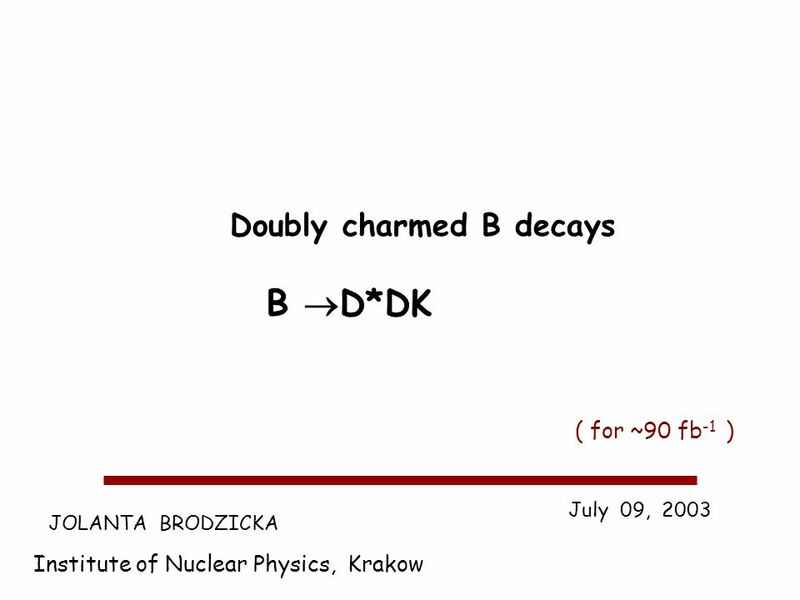 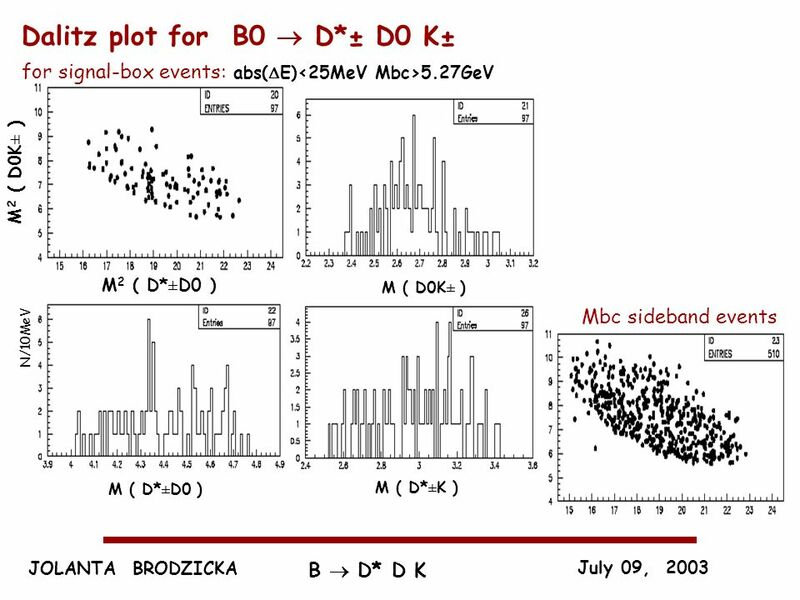 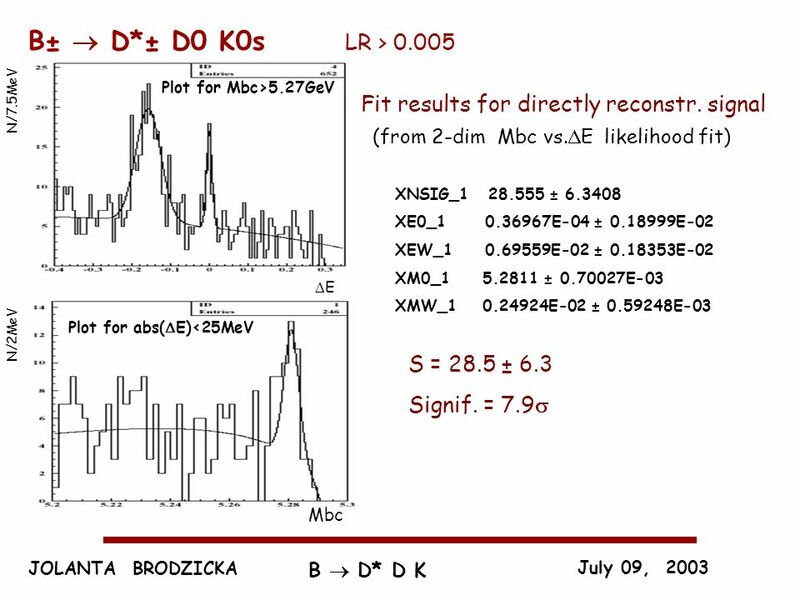 Download ppt "JOLANTA BRODZICKA Institute of Nuclear Physics, Krakow July 09, 2003 Doubly charmed B decays B D*DK ( for ~90 fb -1 )"
New Resonance in D 0 K + Andrzej Bozek for Jolanta Brodzicka & Henryk Palka INP Krakow INP KrakowBAM July 15, 2004 Outline : Physics motivations Physics. 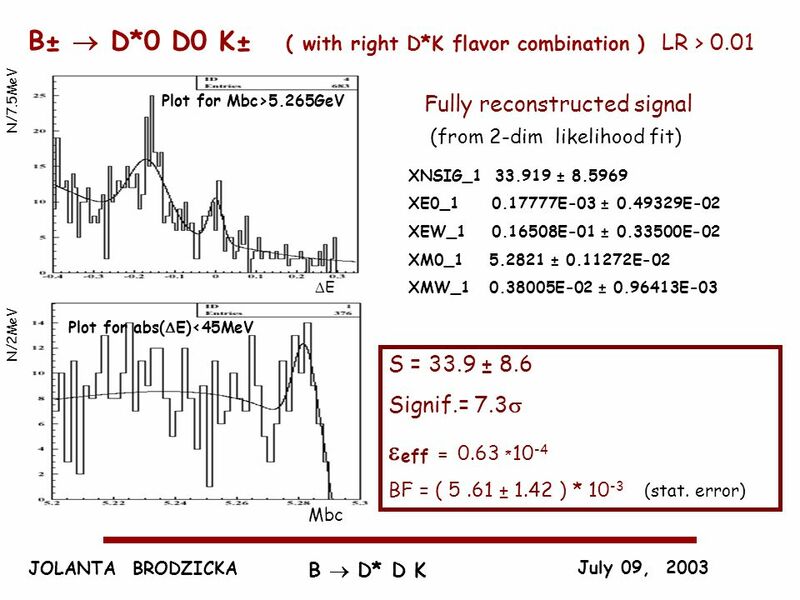 J OLANTA B RODZICKA INP, K RAKOW DC March 03, 2004 Doubly charmed B decays B D (*) D (*) K ( for ~140 fb -1 ) D (*) K resonant structure. 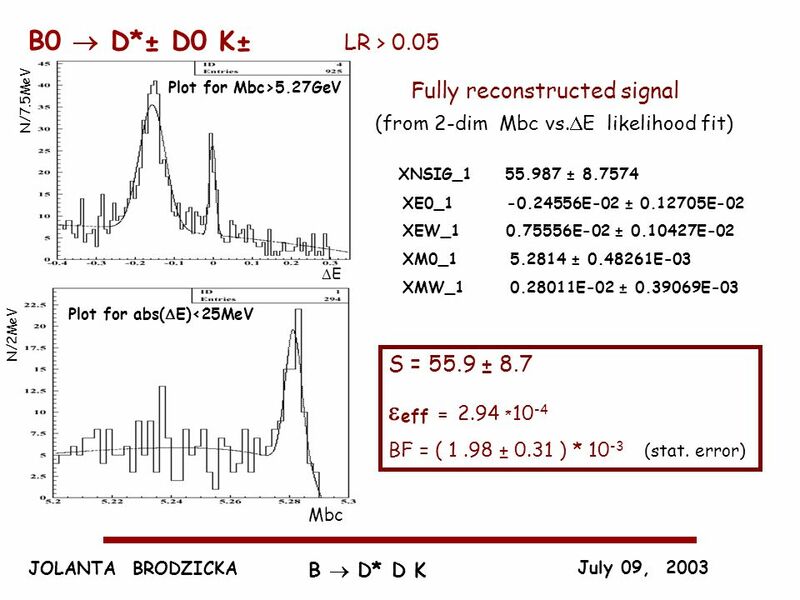 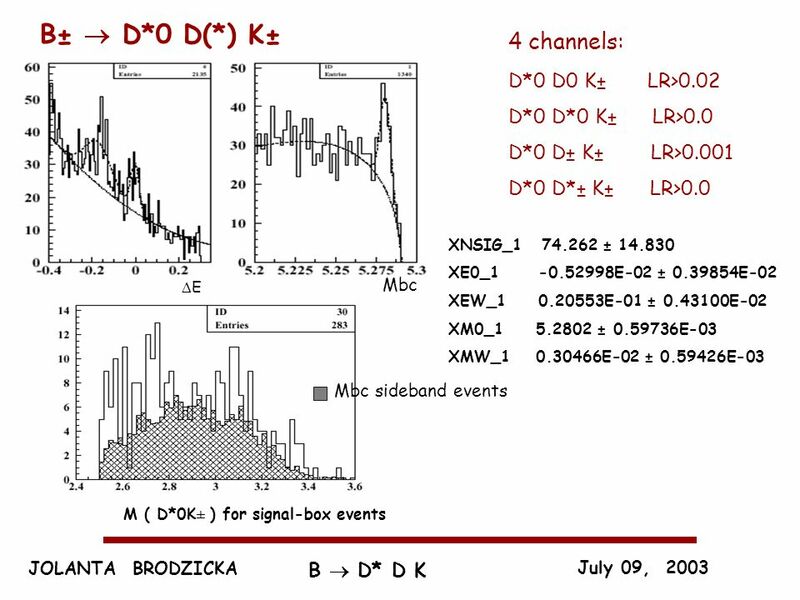 D 0 K + mass spectra D 0 K + mass spectra for: for: B + D 0 D 0 K + B + D 0 D 0 K + B 0 D - D 0 K + B 0 D - D 0 K + B 0 D* - D 0 K + B 0 D* - D 0 K + for. 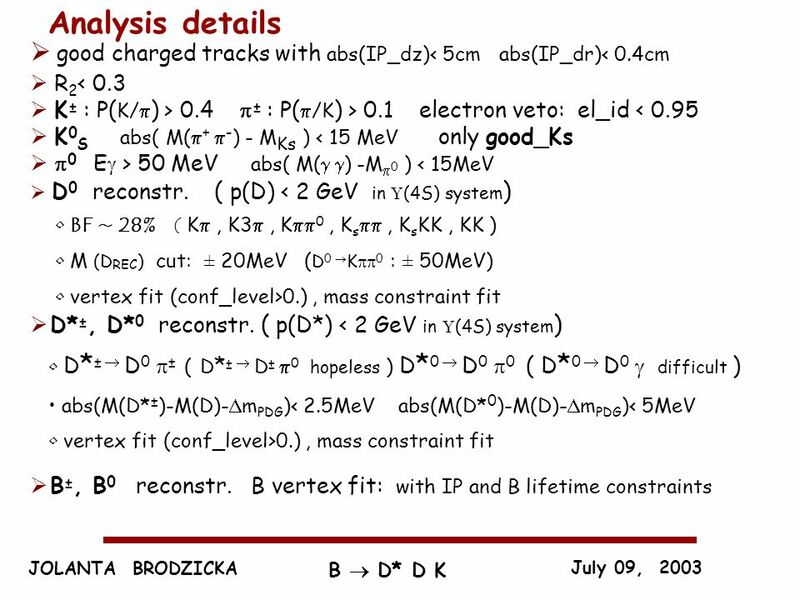 Projektbericht BELLE Vorstandssitzung 8. 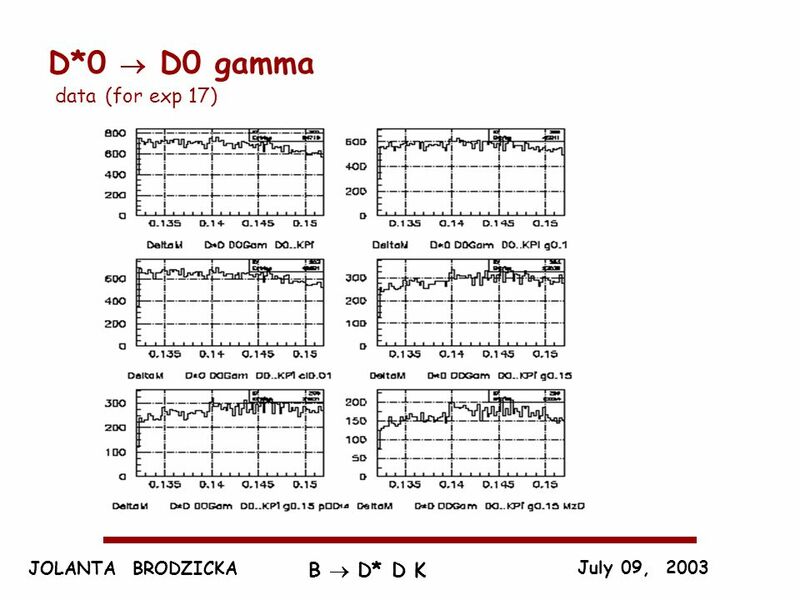 Juni 2006 KEK, Projektbericht BELLE Rekordluminosität SVD Upgrade bei BELLE Neue wichtige Resultate Collaboration.